Up to 30, dead bodies have been removed from the rubble of the 5-storey building which collapsed in Lekki area of Lagos, Southwest Nigeria, on Tuesday. 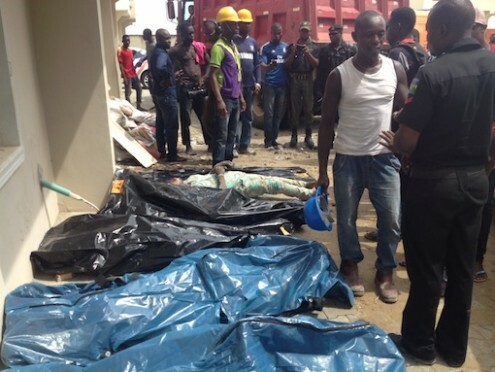 Spokesperson, National Emergency Management Agency, NEMA, Ibrahim Farinloye confirmed to P.M.NEWS the latest death toll. He said apart from the 12 people rescued on Tuesday, no other person had been rescued alive Wednesday. General Manager, Lagos State Emergency Management Agency, LASEMA, Michael Akindele said rescue operation was still ongoing and that more bodies had been removed from the debris with no survivor.